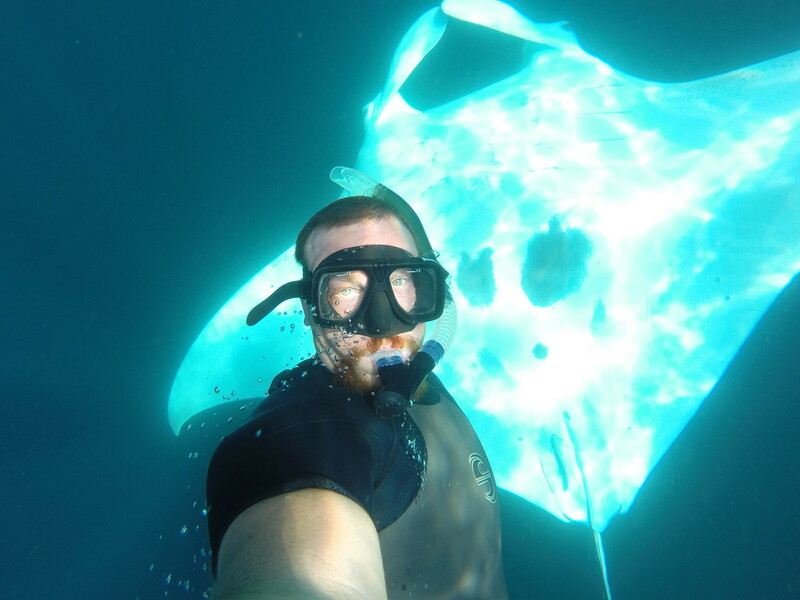 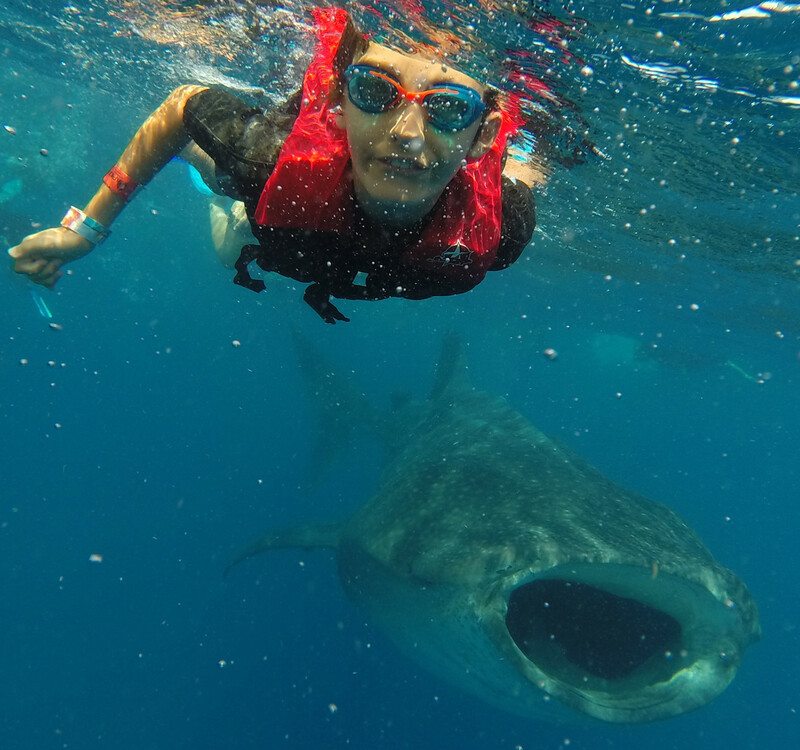 SWIMMING WITH THE BIGGEST SHARK IN THE SEA! 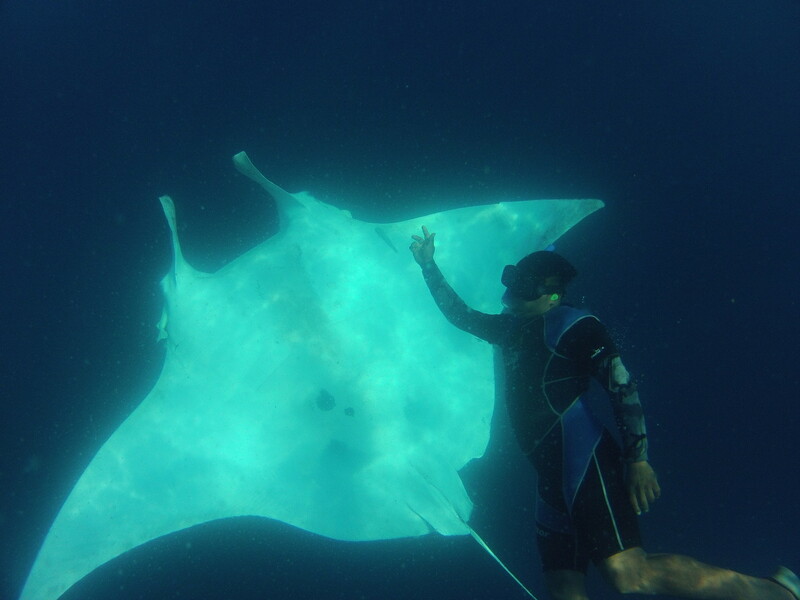 Early pick-up in the morning to arrive at the docks where the Boat Captain is waiting for us. 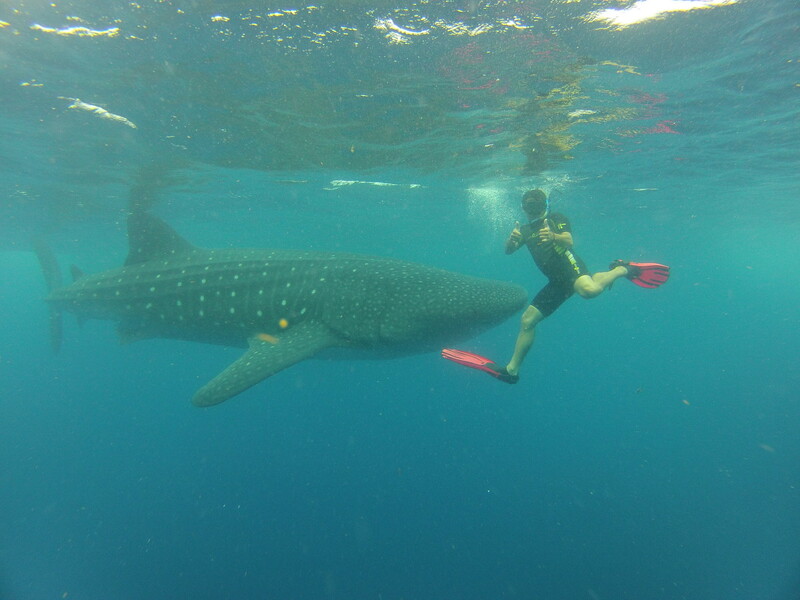 swimm with the whaleshark ALWAYS with a trained guide. 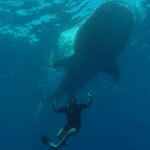 Only one RULE: DON'T TOUCH IT !! 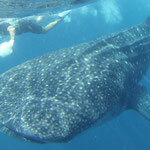 Early pick-up in the morning to arrive at the pier where the boat is waiting for us. 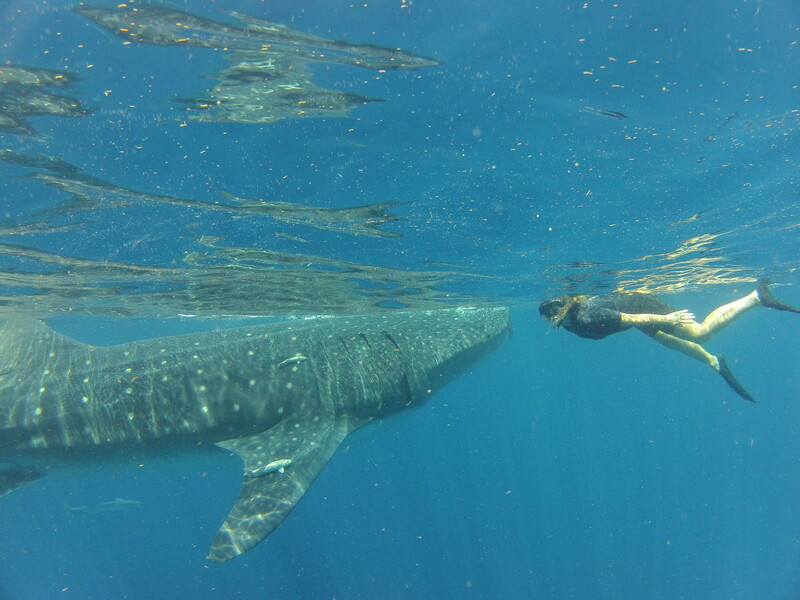 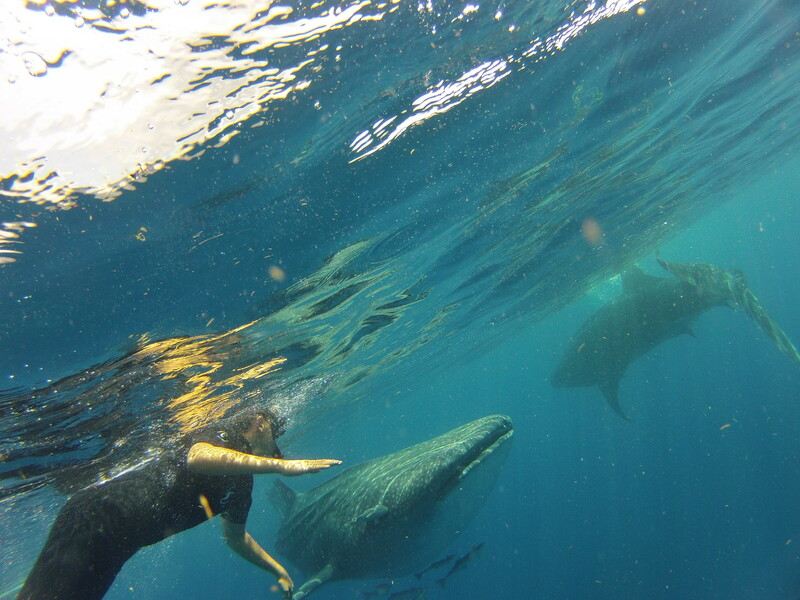 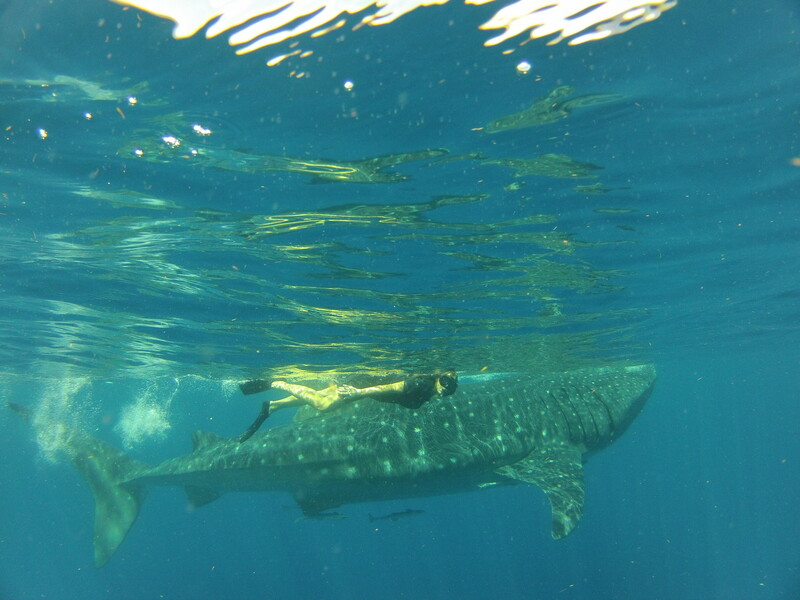 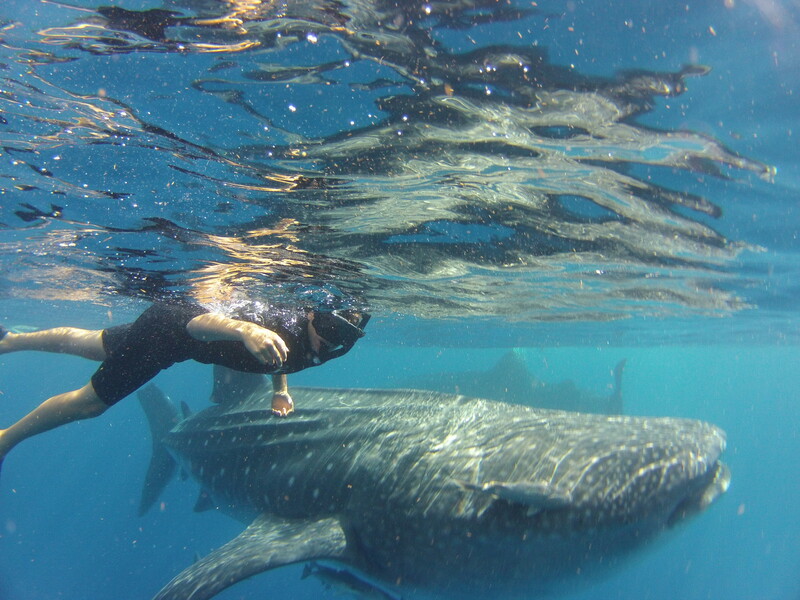 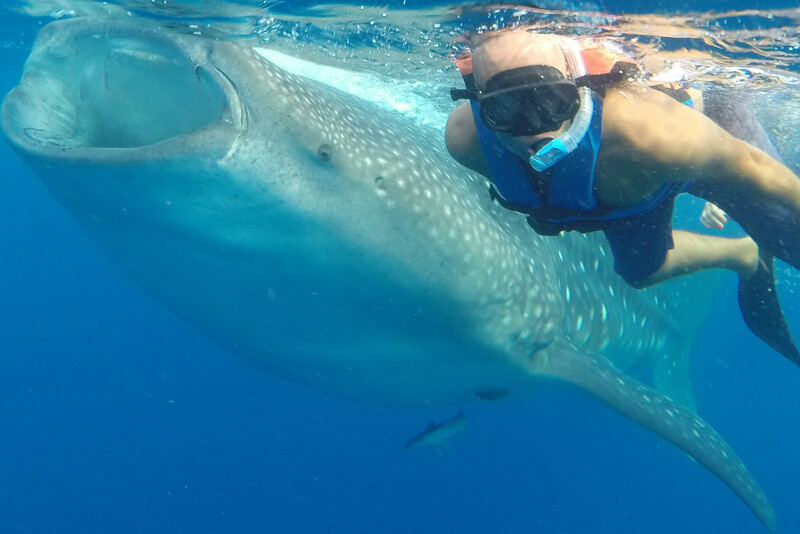 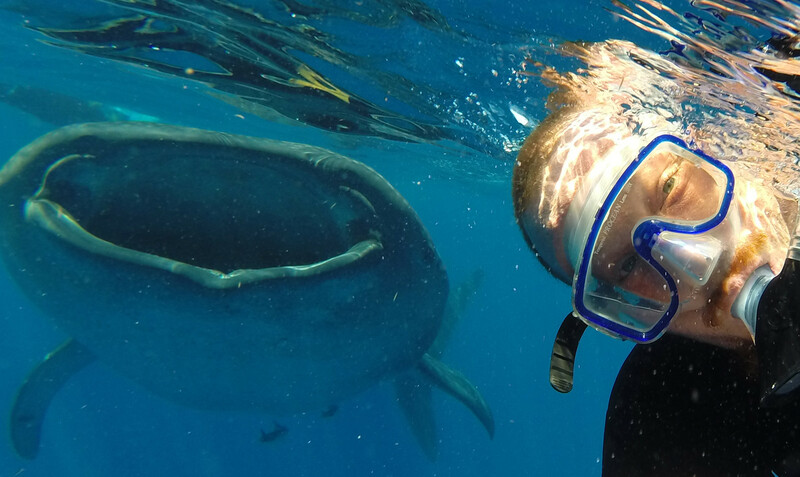 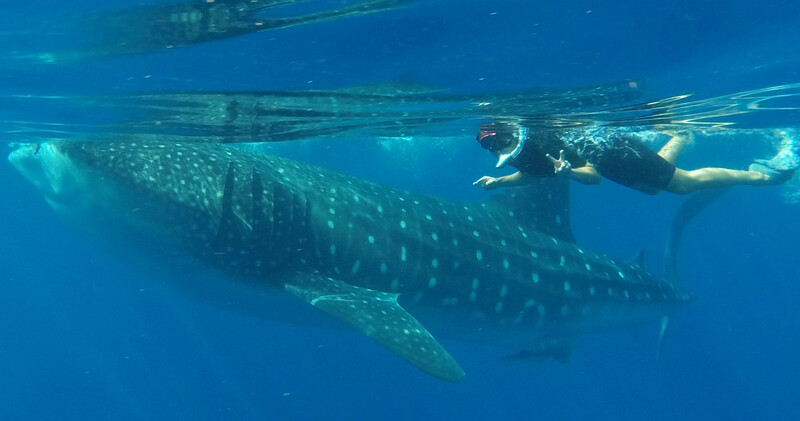 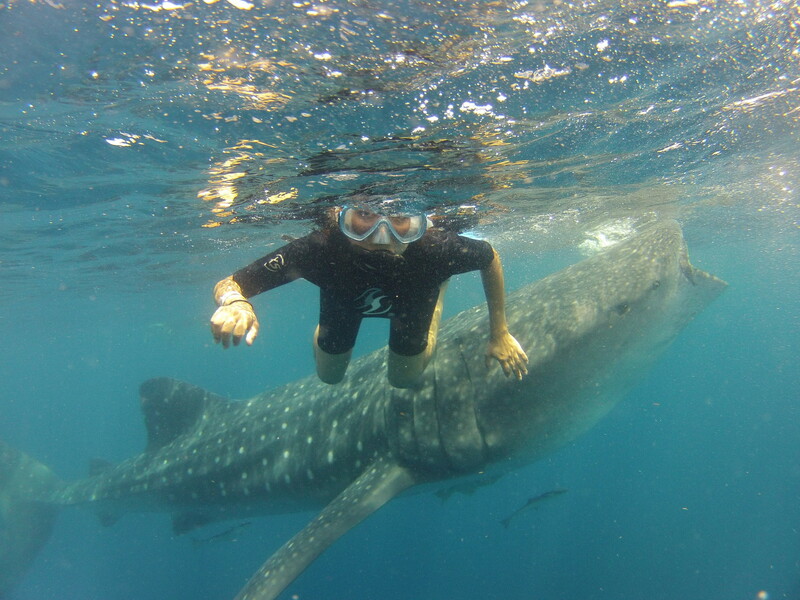 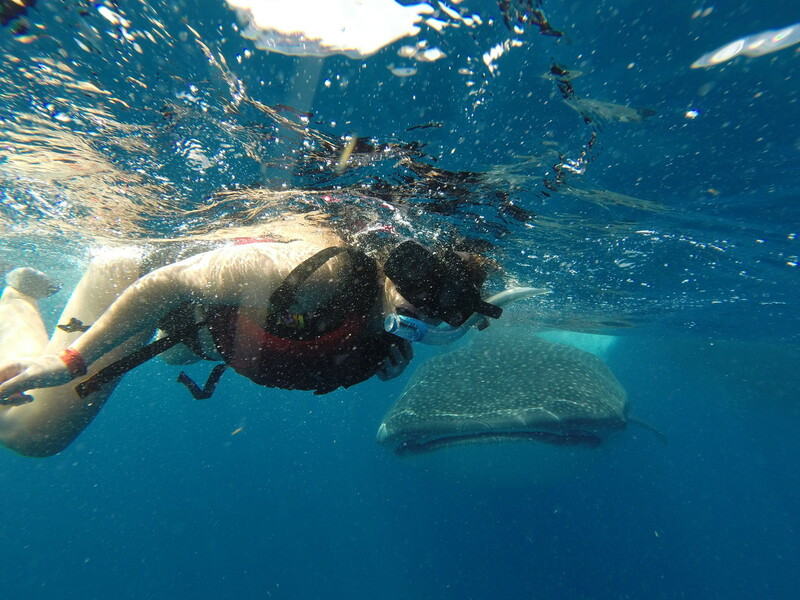 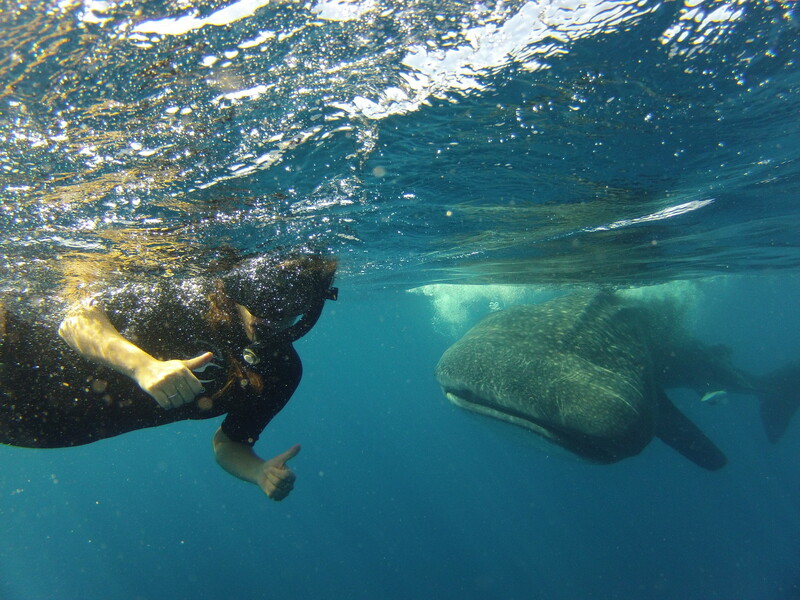 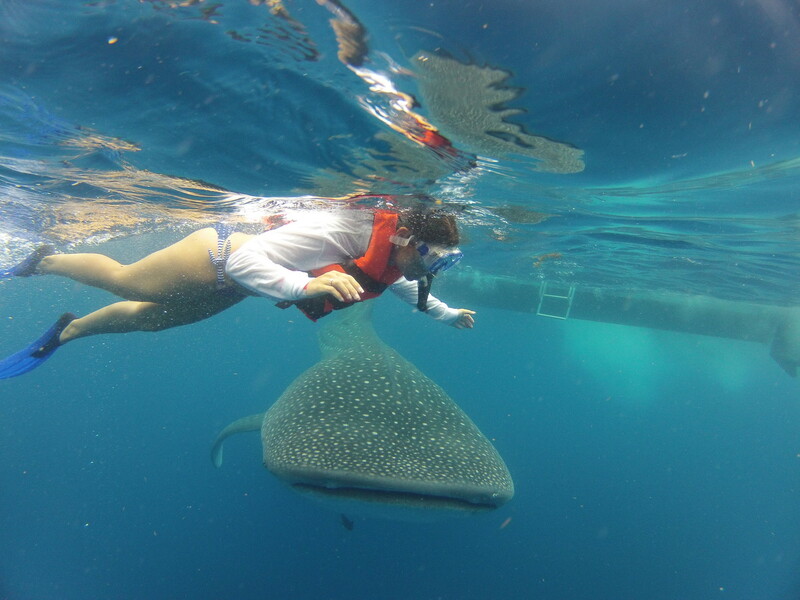 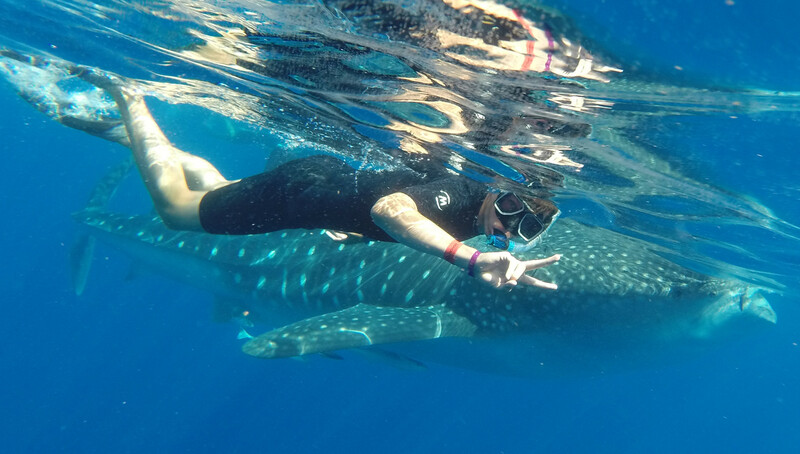 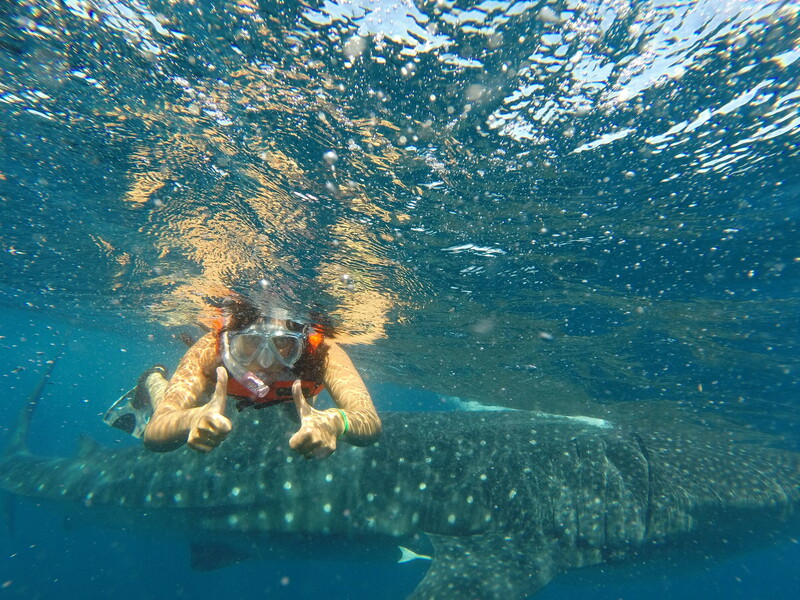 ....then jump in the sea and swimm with the whale shark ALWAYS with a trained guide. 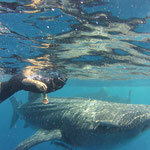 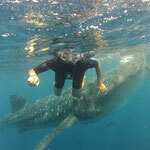 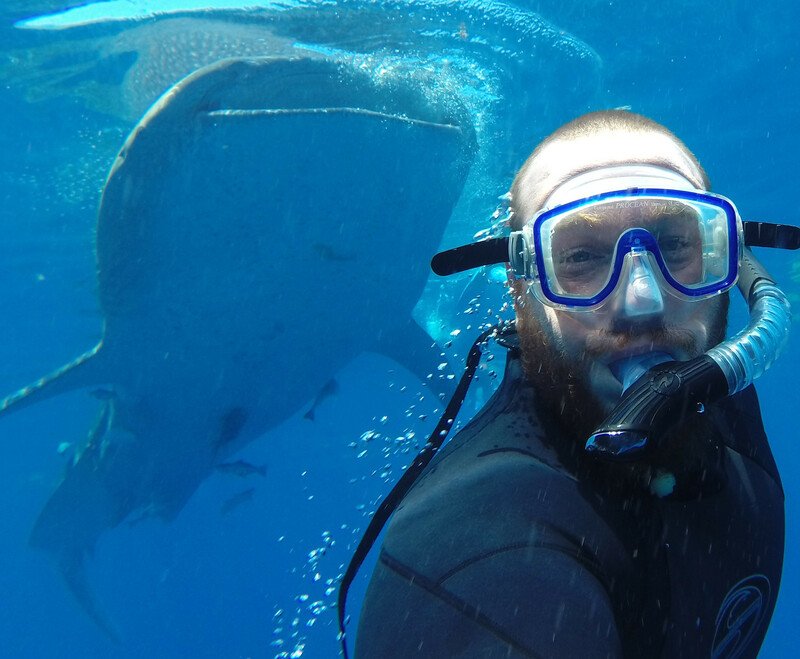 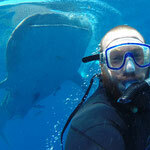 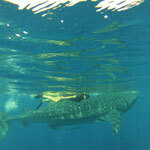 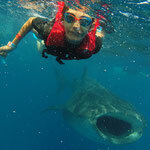 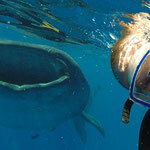 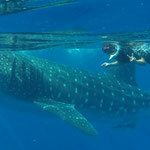 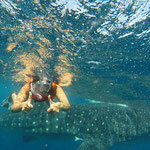 Some of my Whaleshark pictures with friends, you can be the next !! 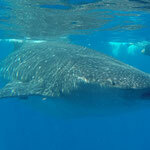 The whale shark (Rhincodon typus) is a slow-moving filter feeding shark and the largest known extant fish species. 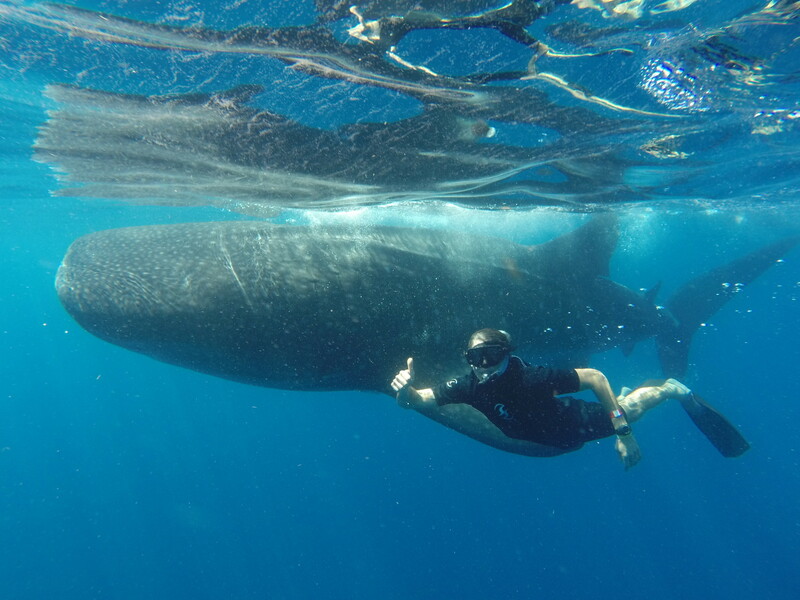 The largest confirmed individual had a length of 12.65 m (41.5 ft) and a weight of about 21.5 t (47,000 lb), and unconfirmed reports of considerably larger whale sharks exist. 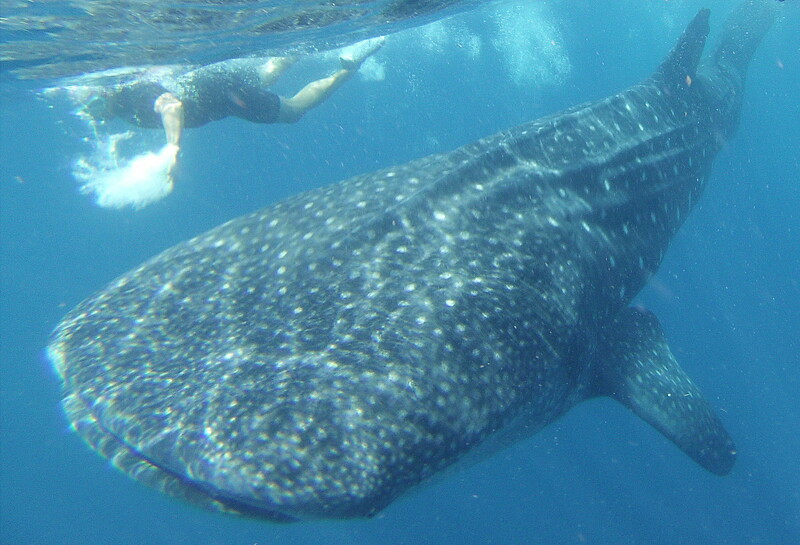 Claims of individuals over 14 m (46 ft) long and weighing at least 30 t (66,000 lb) are not uncommon. 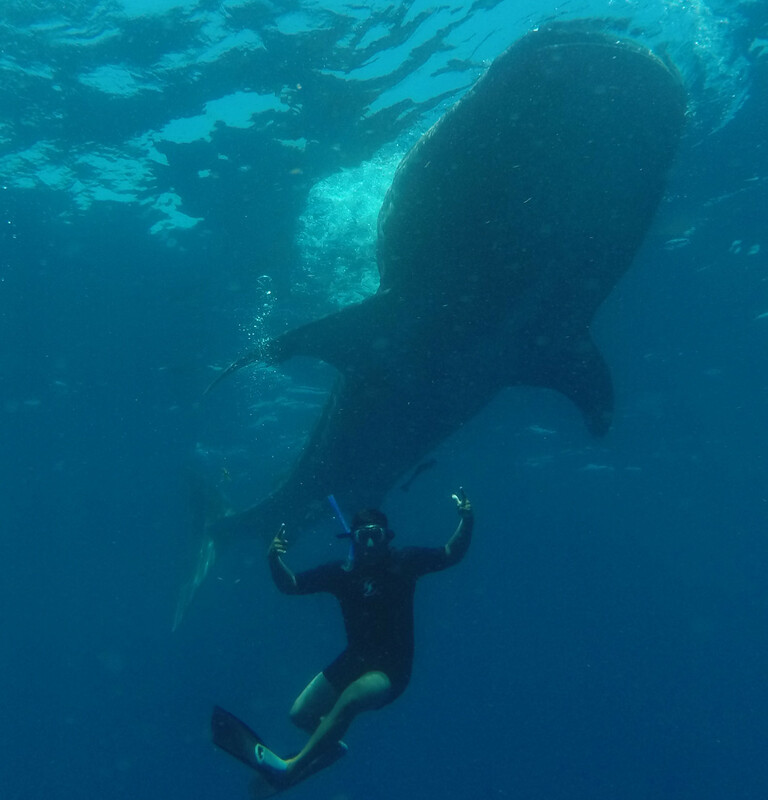 The whale shark holds many records for sheer size in the animal kingdom, most notably being by far the largest living nonmammalian vertebrate. 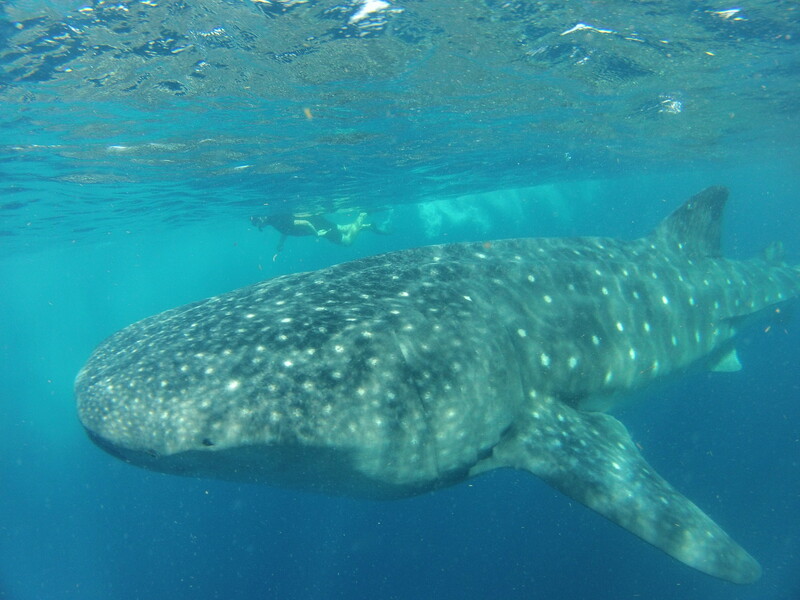 The species originated about 60 million years ago. 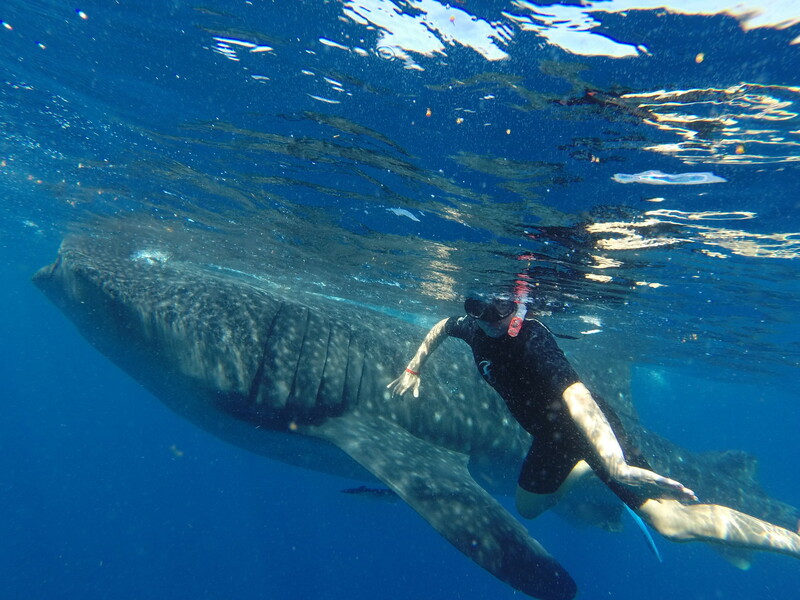 The whale shark is found in open waters of the tropical oceans. 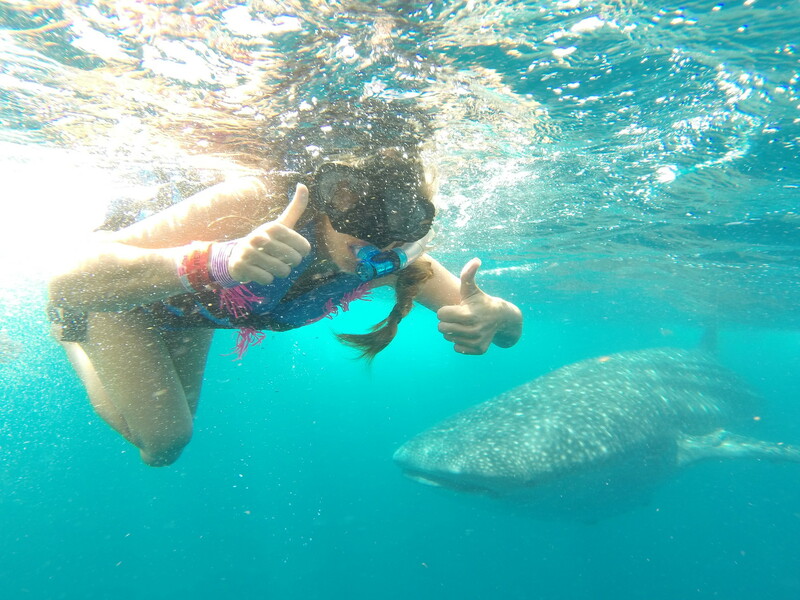 Whale sharks have very large mouths and are filter feeders, they feed almost exclusively on plankton, krill, fish eggs and squids and therefore, are completely harmless to humans. 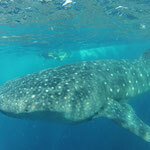 The species was distinguished in April 1828. 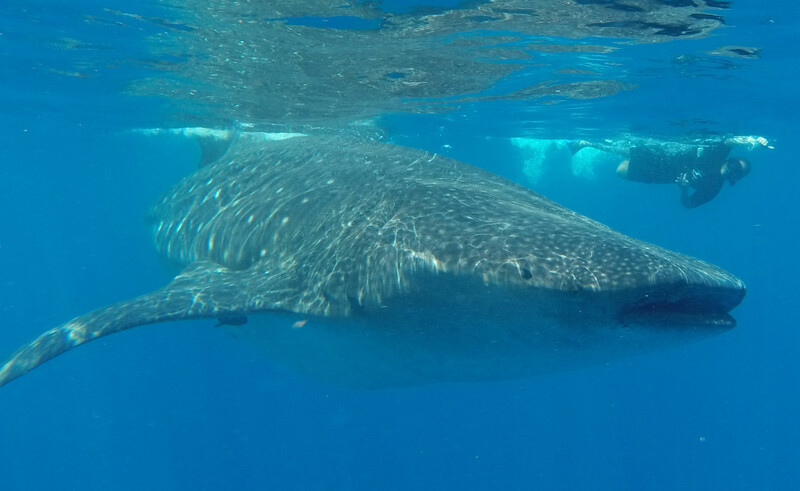 The name "whale shark" comes from the fish's size, being as large as some species of whales and also that it is a filter feeder like baleen whales.